Emergency meeting of the Intermountain Alliance about Flood Recovery. 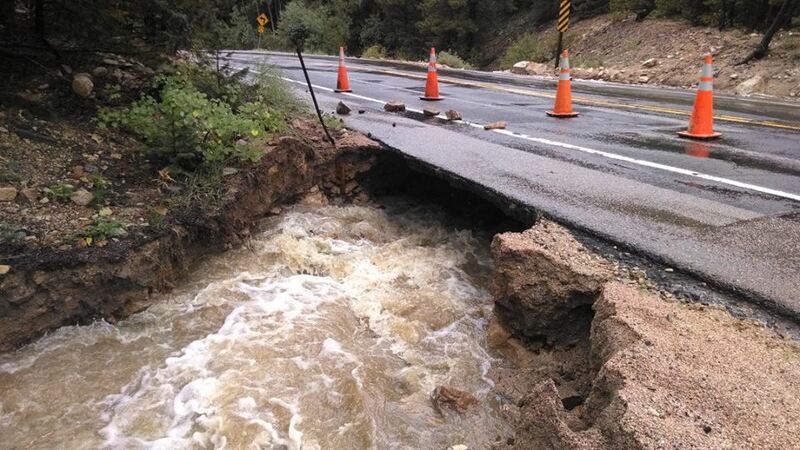 What to do with flooding debris in City of Boulder and in Boulder County? Sept. 20, 2013 2:15 p.m. The City of Boulder announced plans to begin curbside clean-up of flood debris early next week. Curbside clean-up is scheduled to begin early next week and will run for approximately three weeks. Once a contractor is hired, the city will announce the start date and other details. Mud should be taken to an approved landfill. Rural unincorporated county residents will have access to dumpsters in various areas affected by the flood. Locations for those dumpsters will be communicated through neighborhood associations, fire protection districts, community flyers and word of mouth. Contractors caught using these dumpsters for commercial purposes will be ticketed and fined. Unincorporated residents will need to arrange collection of curbside items with their haulers. The county cannot provide curbside pick-up. Boulder County and City of Boulder residents may also take flood debris to Western Disposal’s transfer station located at 5880 Butte Mill Road beginning today. It is open Monday through Sunday from 7 a.m. to 5 p.m. Fees will be waived for residential flood debris disposal at the transfer station. The state of Colorado prohibits the disposal of electronics in the landfill. They can be recycled at various locations in the county including Western Disposal or the Eco-Cycle Center for Hard-to-Recycle Materials (CHaRM). RTD will implement service between Nederland and Boulder effective Monday morning September 23, 2013. This service will be provided via highway 119 operating thru Black Hawk and Gilpin County. This service will be operating on Mondays-Fridays and will stop at the following locations: Boulder Transit Center (14th & Walnut), Nederland Park-n-Ride and Nederland High School. No other stops along the route will be served. Due to the length of this route and the nature of the roadways, the one-way travel time will be approximately 2 hours and 15 minutes. RTD will operate 2 AM trips from Nederland to the Boulder Transit Center and 2 PM trips from Boulder Transit Center to Nederland. Scheduled morning trips will depart the Nederland Park-n-Ride at 5:15 AM and 6:15 AM (arriving at the Boulder Transit Center at 7:30 am and 8:30 AM respectively). Afternoon trips will depart the Boulder Transit Center at 5:30 PM and 6:30 PM (arriving at the Nederland Park-n-Ride at 7:45pm and 8:45PM respectively). Via Mobility Services will also be providing a mid-day run from Nederland to Boulder using Sunshine Canyon, Gold Hill Road and the Peak-to-Peak Highway. This trip will depart the Nederland Park-n-Ride at 10am and arrive in at the Boulder Transit Center at 11:30am. The return trip will depart he Boulder Transit Center at 2:00pm and arrive at the Nederland Park-n-Ride at 3:30pm. It is very important for everyone to be judicious with dispensing this information to the public, and to focus the information towards the Nederland community. We want to ensure that the service is not overwhelmed given its limited capacity and that all Nederland residents have the ability to ride to and from Boulder. The Climb bus between Boulder and Gold Hill will resume Monday-Friday service effective Monday morning September 23, 2013. 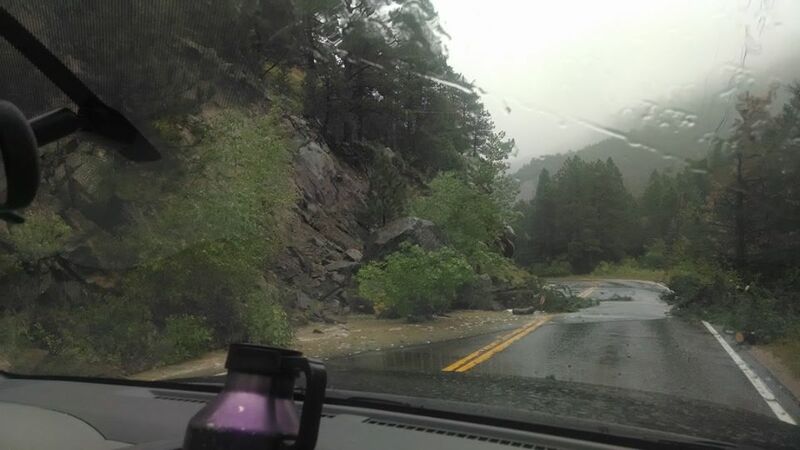 Due to damage along Fourmile Canyon, the route will now be operating on Sunshine Canyon Drive and Gold Hill Road. Eastbound buses will depart Gold Hill at 7:00am and 3:10pm (arriving at the Boulder Transit Center at 7:40am and 3:50 respectively). Westbound buses will depart the Boulder Transit Center at 7:45am, 5:10pm and 6:25pm (arriving in Gold Hill at 8:25am, 5:45pm and 7:10 pm respectively). The Climb also serves the Switzerland trailhead at Gold Hill Rd. with the first eastbound trip of the day and final westbound trip of the day. The following is an additional confirmed Mountain Site for the FEMA Disaster Support Teams. These teams are equipped with I-pads & satellite internet to connect and register our mountain residents for Individual Assistance. Four Mile: FEMA is bringing a van to the intersection of Four Mile Canyon and Poorman Road on Sunday, September 22nd from 10 am to 2 pm. There is parking at that junction for 10-15 cars and signage will be there to verify the location. Either the Nederland or Allenspark transfer stations (green boxes) are taking trash – household and flood related – for free. Please don’t abuse this with construction debris. We don’t know at the moment how long this will last, so do it asap. Gold Hill: FEMA is bringing a van to the top of Horsfal (Sunshine Canyon, east of town) so that Main Street can remain uncongested and open for thru traffic/emergency vehicle use. Boulder County Open Space will unlock the gates at the location to ensure safe/ample parking. Remember, each of these events is open to any mountain resident. A FEMA Disaster Support Team will be in Ward at the Dojo, in the same building as the Post Office (old school house) on Friday, September 20, 11am to 5 pm. Possibly for Jamestown and Four Mile if their needs are not being met in Boulder/Longmont. There are also FEMA Disaster Support Teams at Twin Peaks mall in Longmont and at Lifebridge Christian Church 10345 Ute Highway, Longmont. For more information about the process and what’s available, either come on Friday or read more here. Members of a FEMA Disaster Support Team will be at the Nederland Community Center tomorrow at 2 pm to help individuals register to obtain assistance. 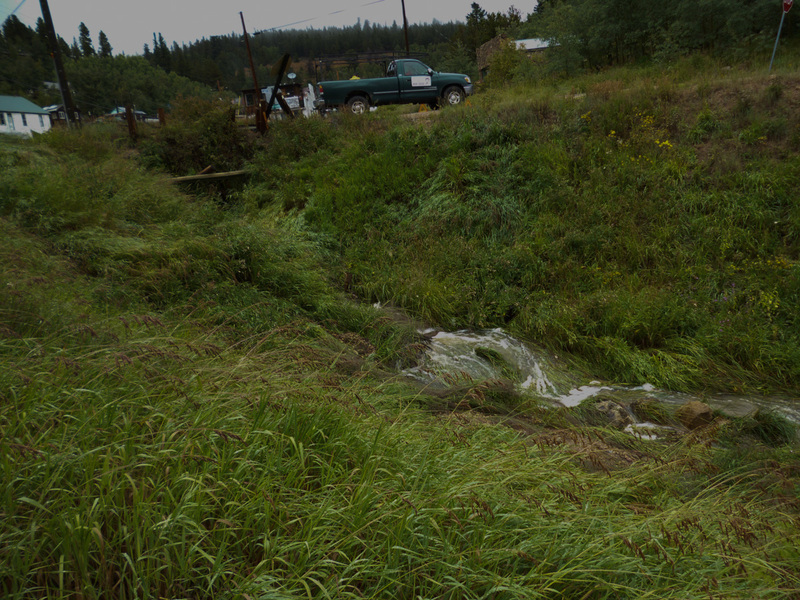 FEMA will also be at sites in Ward, Allenspark & Gold Hill…possibly more. The Schedule location for these will be out tomorrow ASAP. And now we seem to have entered the recovery phase of this catastrophe. As of 2PM on Tuesday, 9/17/13, crews are out and about assessing infrastructure damage. Also if your structure has been marked with a sign or tape, please leave it in place, and if you’ve removed it please replace it. This is not condemning any homes just noting where rescue crews have been and what they’ve found. The Post Office is open for its regular hours doing its regular business, EXCEPT that they can’t do credit card transactions as they don’t have phone access to the outside. Ward zip code, 80481, mail is being delivered, both route (including Bar-K and Skyline) and PO Box. Jamestown route or PO Box customers’ mail is being held in Nederland for pickup, with ID. This pertains to Left Hand Canyon customers, too, anyone with the zip code 80455. If you would prefer to have your mail delivered somewhere else, say General Delivery in Ward or to an address elsewhere, you can place a forwarding order online or at a Post Office (any post office branch) and after a few days your mail will be forwarded. I don’t know if mail held in Ned will also be forwarded. As regards mail that was already in the boxes in Jamestown, postal inspectors must go to the building in Jamestown before mail can be dealt with and there is no immediate timeline for that. 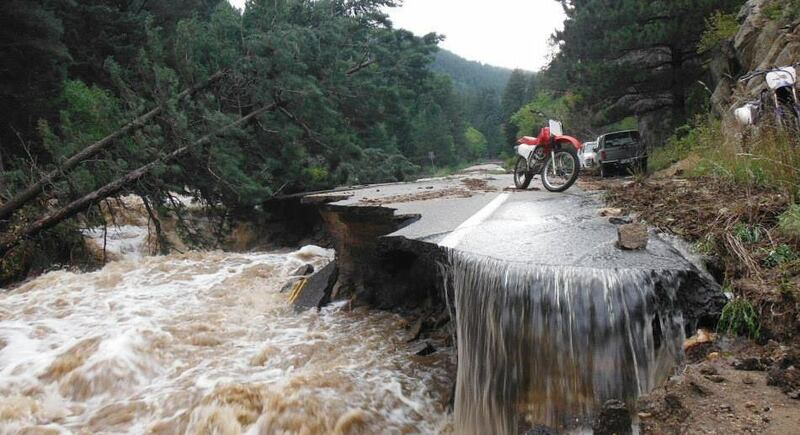 Boulder County (and probably more Colorado counties eventually) has been declared a major disaster. “Obama’s declaration makes federal aid available to supplement state and local recovery efforts in Boulder County. You can read more about eligibility, coverage, and the application process at http://www.disasterassistance.gov/ or to make a claim: Call FEMA at 1-800-621-3362. Ward is fine. 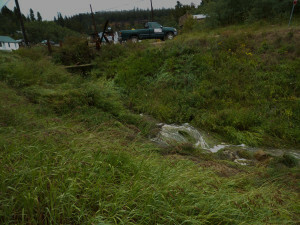 We’re at 9100+ feet altitude so we’re at the top of the flood.We’ve seen more water in our little branch of Left Hand Creek than even in the middle of the biggest snowmelt + thunderstorm. And even at that we experienced NOTHING compared to the horror that happened in Jamestown, Lyons and Salina and dozens of other communities in our little corner of the world. Our thoughts are with our fellow mountain communities that have been hammered by fire and now flood, and with communities, farms, families, ranches on the plains that are under water. It’s times like this when all of us in Ward (and the “suburbs”) come out of the woodwork, I’ve met a whole new group of people I’d never met. We’ve helped each other with food, generators, sump pumps, batteries, you name it. We will be there to help our neighboring communities pick up their pieces too. Left Hand Canyon above Rowena looking uphill. Photo credit Fred Morse. We are still stranded right now – every access to the plains is cut off except Clear Creek Canyon, 50 miles to the south, and that puts you in Golden, still 25 miles from Boulder. It’s going to be a while, months maybe, before our lovely Left Hand Canyon is drivable again. 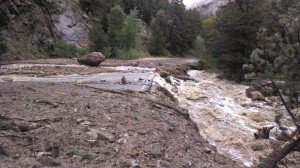 Nederland police estimate at least a month before Boulder Canyon is open again. All this is complicated by the imminent winter, with the first snows expected in just about a month. I’ve been participating in Emergency Planning for over a year and while it’s been a pretty effective process, it’s clear that it never occurred to ANYONE that something this extreme could happen. I mean how does one prepare for this? As a reminder: Foothills United Way has established a Fund for the victims of this flood. The name of the fund is the Foothills Flood Relief Fund and that money will be used for housing and human services and will ALL stay local in our communities…just like our long term recovery fund for the fire. Please do share this URL: www.unitedwayfoothills.org/floodrelief or go to www.unitedwayfoothills.org and follow the links to donate. PLEASE DO SHARE THIS INFO WITH ALL OF YOUR GROUPS! 2.) 2-1-1 has been activated. If you know of anyone that has any questions about evacuation sites, routes, donations, road closures etc. they can call 2-1-1 in the Boulder area to get help. These are images from Thursday and Friday on Left Hand Canyon, taken by Andrew Martinek (FYI, he’s a town marshall, therefore a part of emergency services – he’s both entitled and expected to risk such travel – DO NOT try this yourself. We’ve weathered the storms thus far. No reported injuries or serious house damage. As a community we are both lucky and blessed. If the power goes out again, Ward does have a generator that can be used to charge necessary devices and keep freezers and fridges cold. Contact Pete Lawrence or Sequoia. Land line phone service is spotty in town and appears to be limited to town to town land lines. Cell service is in the usual places. There is food available for those who need it. Contact Rebecca or Apache. The trash pickup that usually happens tomorrow will happen next Saturday (theoretically). LeftHand Canyon is absolutely impassible, because of running water, debris, and washed out roads. Do NOT try to go up or down. If you absolutely have to, the best way out right now is to go west on the Peak to Peak to the Central City Parkway to I70, and that only if you absolutely can’t avoid it. The emergency services folks have enough to do without having to rescue someone who just needs cigarettes. Might be a good time to quit. Foothills United Way has established a Fund for the victims of this flood. The name of the fund is the Foothills Flood Relief Fund and that money will be used for housing and human services and will ALL stay local in our communities…just like our long term recovery fund for the fire. Please do share this URL: www.unitedwayfoothills.org/floodrelief or go to www.unitedwayfoothills.org and follow the links to donate. PLEASE DO SHARE THIS INFO WITH ALL OF YOUR GROUPS! 2.) 2-1-1 has been activated. If you know of anyone that has any questions about evacuation sites, routes, donations, road closures etc. they can call 2-1-1 to get help. If you think friends and family might be concerned about you, you can use this website, Safe & Well, to check in, or to check for someone you haven’t heard from. 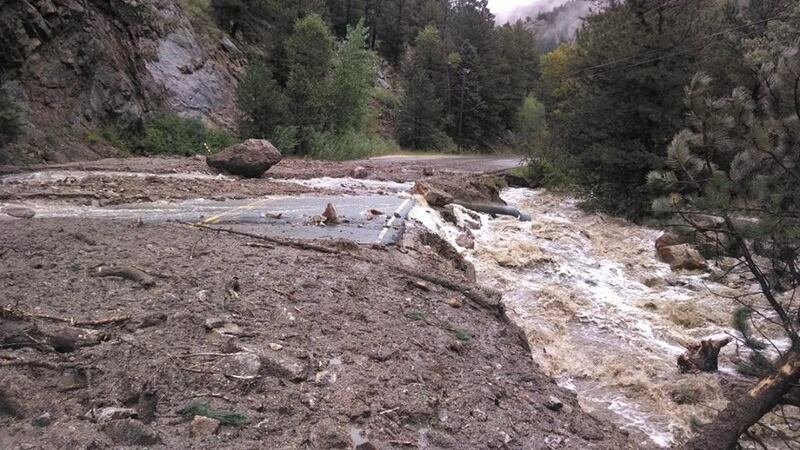 9News reporting a wall of water coming down the 4mile drainage, 15-25 feet high. May be in Boulder Canyon. 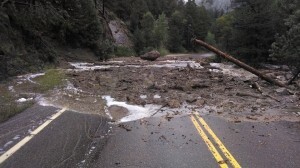 Left Hand Canyon is closed, from the Peak to Peak Hwy to Foothills Highway. Ward Marshal department has closed the entrance to Ward from the Peak to Peak Highway and they are allowing entrance on a case by case basis (ie if you’re going home IN WARD, they’ll let you, otherwise, no. All canyon accesses are closed. James canyon is closed both above and below Jimtown. One person has died in Jamestown. A house has collapsed, others are threatened. Jamestown is cut off too and those in homes that are threatened have evacuated to the elementary school. 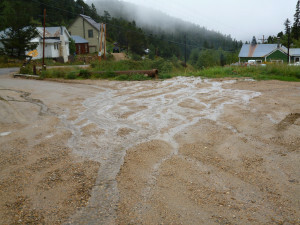 For the duration of the flooding emergency, this will be the Ward, Colorado front page. Foothills United Way has established a Fund for the victims of this flood. The name of the fund is the Foothills Flood Relief Fund and that money will be used for housing and human services and will ALL stay local in our communities of Boulder and Broomfield counties… just like our long term recovery fund for the fire. Please share this URL: www.unitedwayfoothills.org/floodrelief or go to www.unitedwayfoothills.org and follow the links to donate. PLEASE DO SHARE THIS INFO WITH ALL OF YOUR GROUPS! 2-1-1 has been activated. If you know of anyone that has any questions about evacuation sites, routes, donations, road closures etc. they can call 2-1-1 in the Boulder area to get help. Also for resources you can look at Help Colorado Now. Please note this is helpcoloradonow.COM, NOT .ORG. The .org site is a squatter site. Don’t use the .org site.